The Village/Town Municipal Building is an architectural treasure set in the middle of the Village of Kenmore between the two Delaware’s. The building designed by noted architect, E. B. Green, is in the monumental style and is one of only two buildings designed by Green in this style and the only one remaining. Green built many of the great buildings we are fortunate to have as a part of our rich architectural heritage here in WNY including the Albright Knox Art Gallery, Buffalo Savings Bank, Genesee Building, Market Arcade, First Presbyterian Church, many of the mansions along Delaware Avenue, and many more. 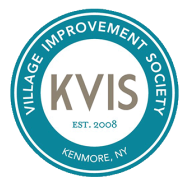 The KVIS Public Properties and Historic Kenmore Committees researched the process of placing the Municipal Building on the federal National Register of Historic Places. We spoke with our Town Historian, John Percy and Village Historian, Ed Adamczyk as well as New York State Historic Preservation officials. We obtained additional information and guidance from the experienced architectural historians at Clinton Brown Architecture. Once we had fully learned of the process and benefits of proceeding in seeking designation for the building, we put together a presentation and after showing it to the Village and Town Boards, formally requested to pursue obtaining this honor for our community. 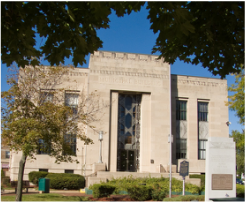 In early summer of 2013 the Kenmore Tonawanda Municipal Building was placed on the National Register of Historic Places.